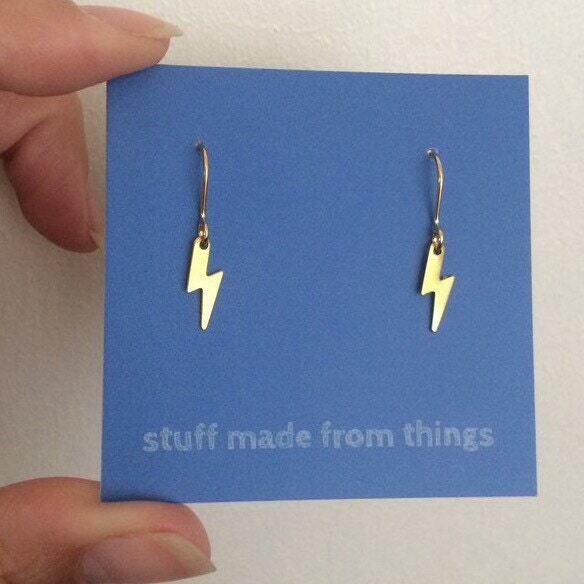 These are weeny and very cool. 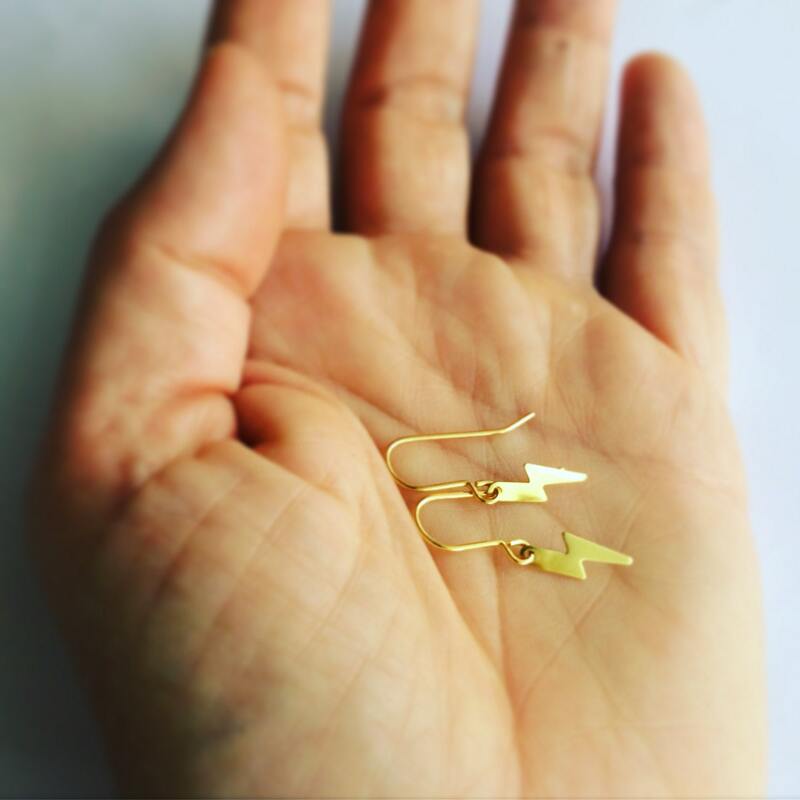 Made from raw brass and on gold plated ear wires. 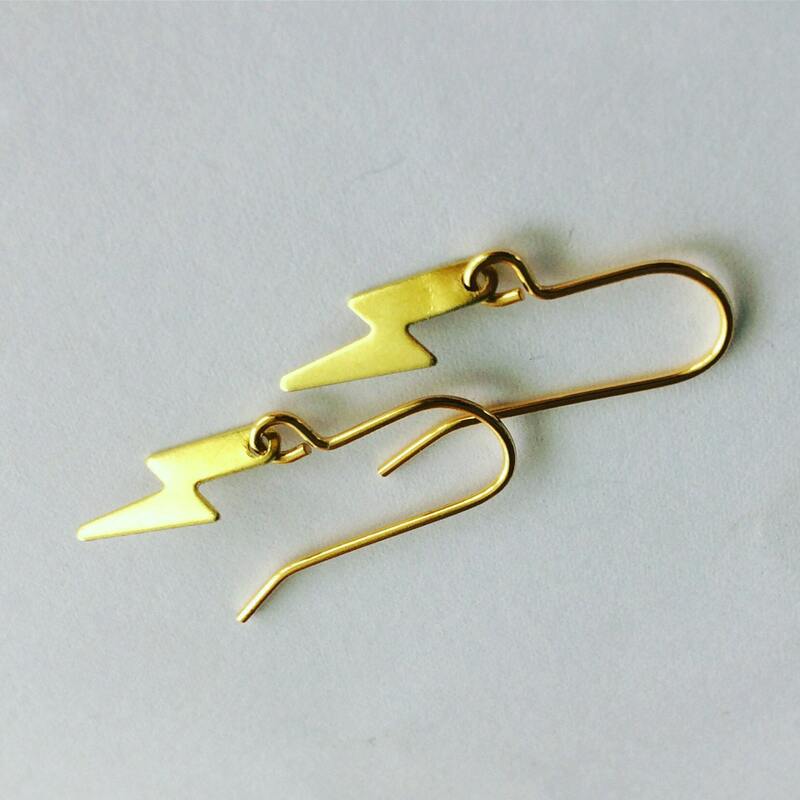 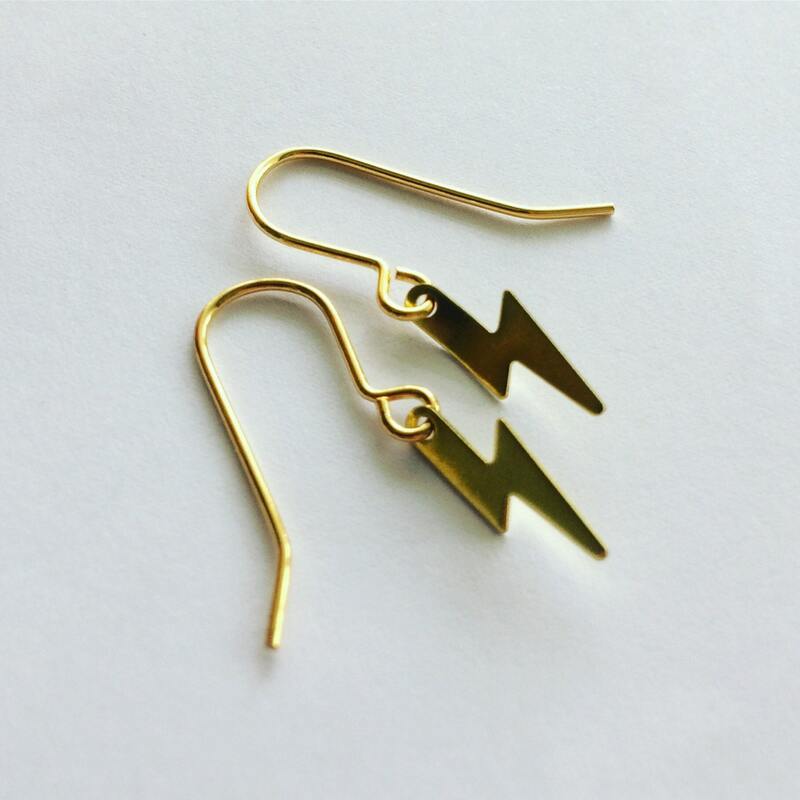 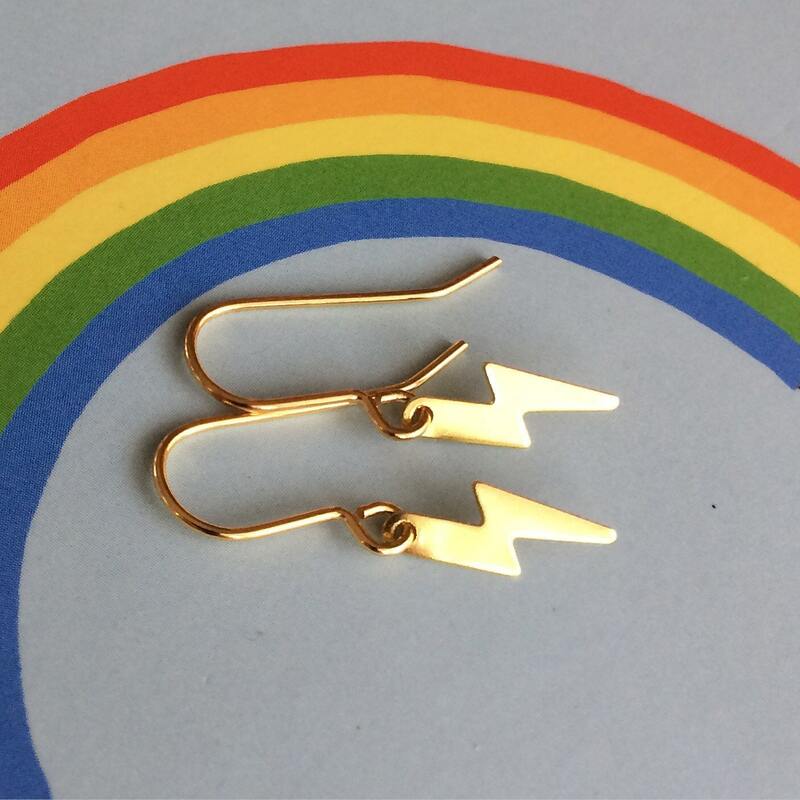 A mini zap of total power on your earlobes!